The Lum-Tec Bull 45 Chronograph features a 45 mm 316L stainless steel case coated in black PVD. 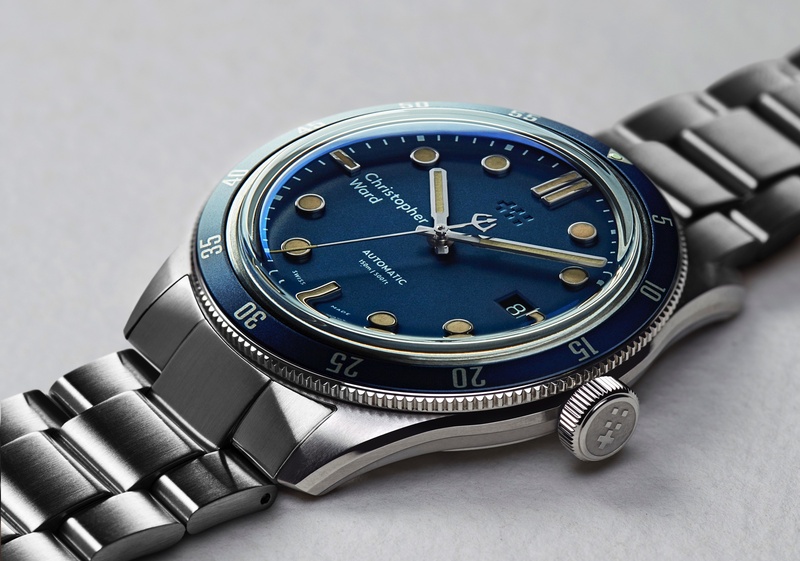 It is a bullhead design, which means the crown and chronograph pushers are on the top of the case. The chronograph is slightly harder to operate than a traditional side mounted configuration, when on your wrist, however, this design prevents the crown of pushers from poking into your wrist. And, if it is in your hand the chronograph buttons are actually a bit easier to manipulate. 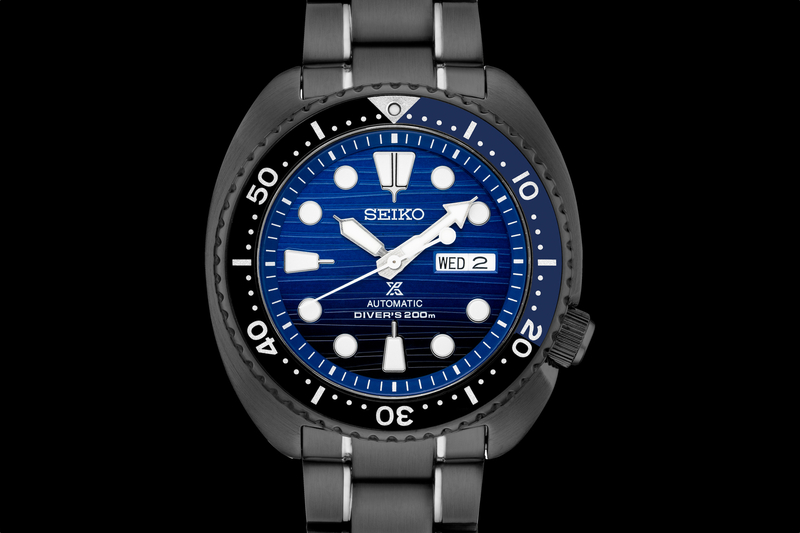 The dial features an instrument style layout. Protecting the dial is a thick sapphire crystal, with a double sided anti-reflective coating. The watch is extremely legible in bright or dark conditions. The AR treatment removes glare in bright conditions and an 8-layer MDV® LUM-TEC GX luminous treatment makes the dial visible even in the most extreme low-light situations. Inside, is a Japanese quartz OS10 chronograph movement (Lum-Tec also uses Swiss “ETA” mechanical movements in some of their models). The chronograph can display up to 11 hours/59 minutes/59 seconds. 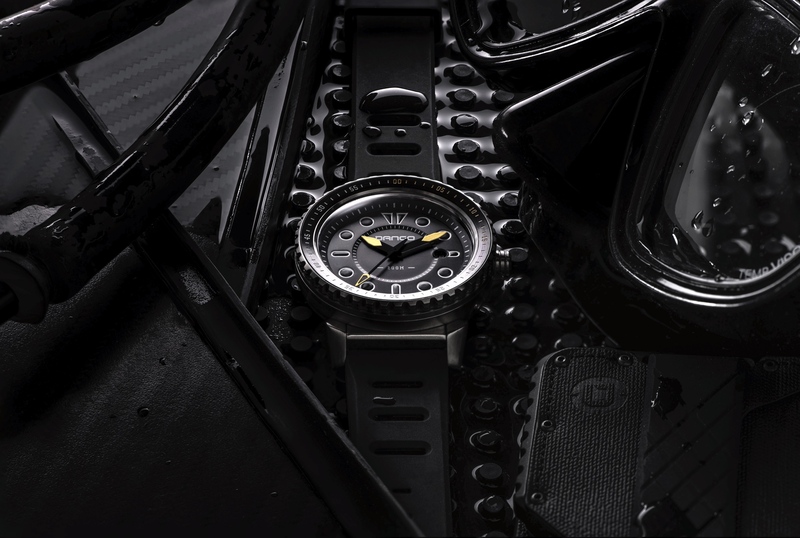 The case is treated with a brushed hard black PVD finish, which provides the kind of durability you would expect from a military style instrument watch. The strap is made of top-grade rubber with a signature black PVD buckle. Water-resistance is 100 meters. The retail price is $599.